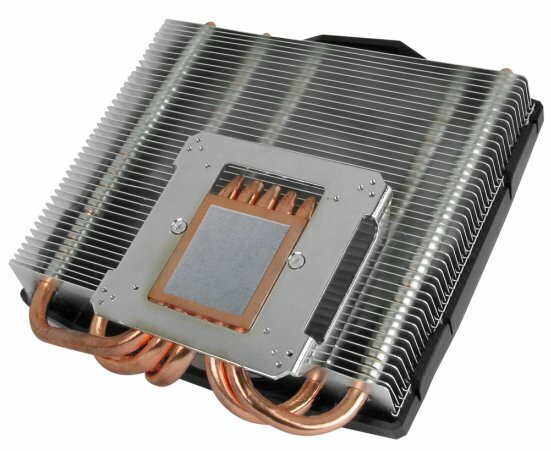 Arctic Cooling announced the Accelero Mono Plus, a new VGA cooler with a copper base, five 6mm heatpipes, 43 aluminium fins and a 120mm PWM fan. The cooler measures 136mm x 138mm x 51mm (L x W x H) and weighs 348g. 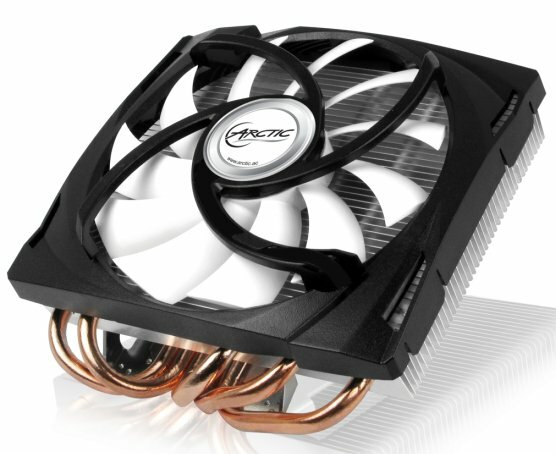 The cooling capacity is rated at 200W, a full list of compatible graphics cards can be found at Arctic's website. The Accelero Mono PLUS is equipped with a universal mounting mechanism, offers full support to a broad range of graphic cards. A 120 mm PWM fan and five heatpipes provide an ultimate cooling performance and a virtually silent environment at all times. The Accelero Mono PLUS operates at a maximum cooling capacity of 200 Watts. It is equipped with a 120 mm PWM fan and five heatpipes that dissipate a large amount of heat instantly. It ensures that the VGA graphic card can run under optimal temperature for an extended service life. To achieve ultimate cooling efficiency, the Accelero Mono PLUS comes with an electrically non-conductive thermal glue G-1 to apply on the RAM and the VR heatsink. Compared to traditional thermal tapes and pads, the G-1 provides a far better thermal conductivity and can be removed without leaving any residues behind. Operated by a low noise impeller enclosed in a patented fan holder to reduce the buzzing sound when the fan is spinning, the Accelero Mono PLUS is barely audible even running at full load. To enable minimum noise level at all circumstances, the PWM controller enables the fan to run at the optimal speed according to the load generated by the GPU. The Accelero Mono PLUS comes with a versatile mounting mechanism and extensive RAM and VR cooling to better suit different graphic cards.